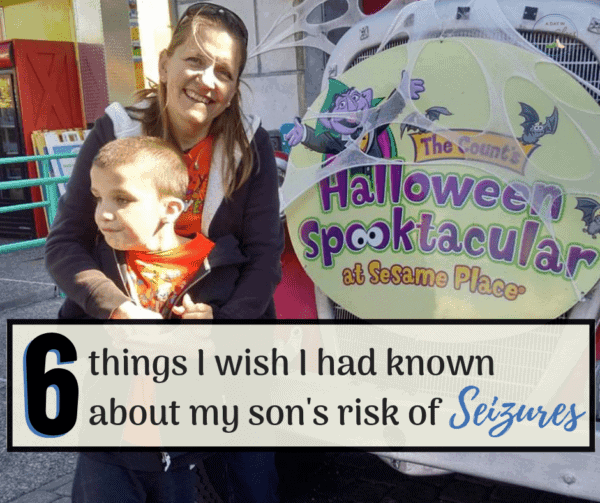 6 Things I wish I had been told about my son's Seizure Disorder Risks. Home » Disability and Parenting » 6 Things I wish I had been told about my son’s Seizure Disorder Risks. 6 Things I wish I had been told about my son’s Seizure Disorder Risks. I’ve been having some real “beat myself up” moments about Kevin and his risk for seizures. Things I should have known. Or could have known. Or wish I had known about seizures and seizure risk. Do you use the Timehop app? I do and I love it. If you are not familiar, what Timehop does is go back in time to a particular day and show you everything that you posted on Facebook that day in years prior. My Timehop a few weeks ago was a video of my boys on a ride at Knoebel’s. It was so cute and their baby faces just melted my heart. I watched 30-40 seconds of it and then decided to post it. I went back and watched the entire video. It’s unmistakable. Kevin has a seizure while waiting for the ride to start. That video is 6 years old, and we didn’t “see” his first seizure until 3+ years ago. This is why I am beating myself up. He could have been having un-diagnosed seizures for 4 years. I am trying to console myself with the fact that the outcome would likely not have been any different. Kevin was diagnosed with his chromosome abnormality at 8 months of age. We knew then that he had at least a 50% chance of developing seizures. Knowing that risk, there are a few things we could have done. Though admittedly there is also that piece of “ignorance is bliss.” I am glad that we had 9 years of the ignorant bliss. 6 things I wish I had known about seizure disorders. There are many different kinds of seizures. Everyone thinks of the generalized “grand mal” seizure when they hear the word. (pro tip: No one uses that term anymore) Some of my son’s seizures–I didn’t even know that they were seizures, I just thought it was a new behavior or something. This is one of the reasons I am using to forgive myself for not seeing that seizure at Knoebel’s. Even if I remember seeing it at the time, I wouldn’t have known it was a seizure. Some list as many as 40 different kinds of seizures. There are other signs of epilepsy besides seizures. I didn’t see any seizures, so he must not have epilepsy, right? Wrong! You may also see amnesia, anxiety, depression, headache, sleepiness, staring spells, or temporary paralysis after a seizure (even if you don’t see the seizure). We saw extreme tiredness in Kevin but always explained it away to something else. But at the time it made sense. I told everyone there that we weren’t going to neurology as often because he wasn’t having seizures. We knew the reason for his autism so there was no reason to have neurology follow him for that. But due to the reasons listed above, continue to see a neurologist and schedule EEGs. There’s something called SUDEP and you need to be aware of it. It’s the leading cause of death in children with epilepsy and no one likes to talk about it. I lose sleep over wondering how long Kevin had the ESES and therefore was at risk of SUDEP. “Keto” diets are a real therapy. Kevin has feeding issues so this isn’t really a feasible option for him. However, it’s a real thing, not just a fad. Before I learned all I can on epilepsy, I thought keto was a fad like other fad diets. If your child is at high risk for seizures, you may want to ask about it. Maybe if they’re on the diet, you can prevent seizures altogether. Wouldn’t that be awesome? (Note: please do not do the keto diet unless you/child are under the supervision of doctor and dietitian.) In hindsight, I often wonder if I had known about seizures and keto, if I had made a bigger priority out of Kevin’s feeding issues…it might be a possibility for us. Then again, I’m told that for children who meet his criteria, it doesn’t usually work. Infantile Spasms! My pediatrician asked me if I saw them and I said, “No.” Fact is, I didn’t really know what to look for. Please watch the video at the end of this post so you know what to look for. When Kevin was in preschool, he fell at school. He cut his head and it required an ER visit and stitches. Several years later at his current school, he fell again and required the ER and stitches. When the first fall happened, I dismissed it as being clumsy and poor motor planning, both of which are true for him. When the second fall happened, I can’t help but go over in my mind how similar the situations were, including the part of the head where the cut is. I now wonder if the first fall was a seizure. It bothers me to think that he could have been wearing a helmet for the second fall because it required 8 stitches and I believe it was quite painful for him. After the second fall, which we knew was a seizure, he started wearing a helmet. And that’s it. That’s what I’m beating myself up over. Now you don’t have to. If you have not seen any seizures yet, maybe you want to follow some of these steps. And if you are following these steps….and seizures do develop, you can at least rest knowing that you tried. That’s what I’m beating myself up over–that there are things I could have been doing but wasn’t. Yes, I have heard of cannabis. 12 seizure plans for an IEP. 5 real-mom secrets to getting EEG glue off your kid’s head….painlessly! 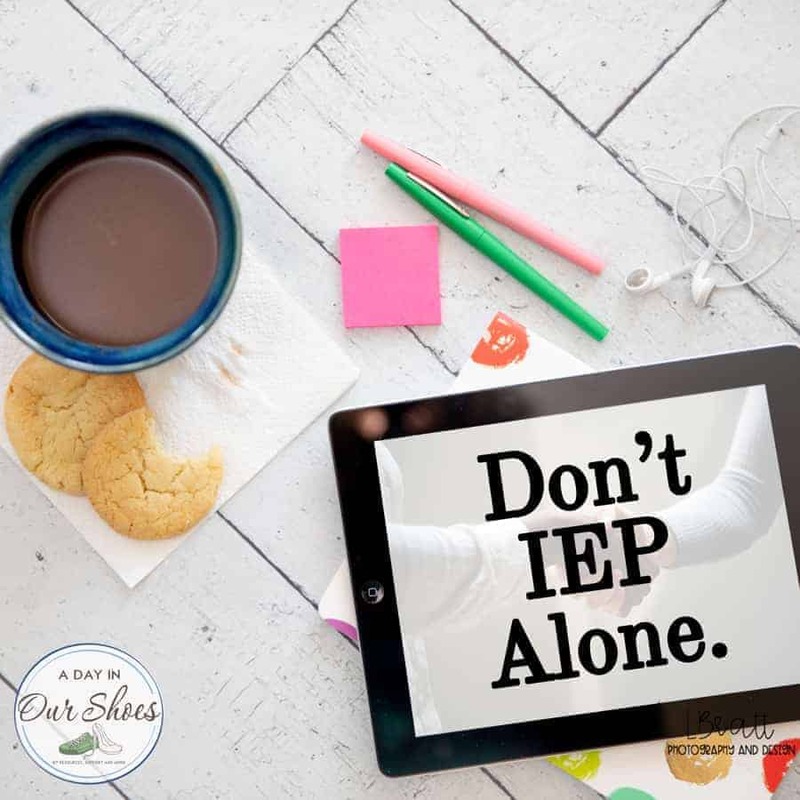 « The Secret that will have you Stop Stressing over IEP Meetings. Yes, really.